Purchased from Spink & Son, London, 1980. 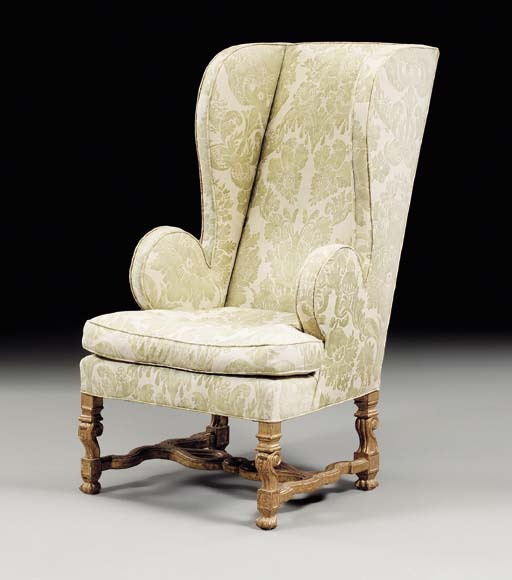 The name Thomas Roberts has become almost synonymous with the elaborate walnut chairs of the period. Their scrolling stretchers, also referred to in documents as 'horsebone', seem to derive from Flemish and Dutch prototypes in the so-called auricular style. Examples of his 'horsebone' chairs can be seen in A. Bowett, 'The English 'horsebone' chair, 1685-1710' The Burlington Magazine, May 1999, pp.263-270.